Imagine a world where the number of words women speak a day is limited. Where the LGBTQ+ populace has been consigned to concentration camps and the punishment for exceeding the 100-word limit is electrocution. Where Dr Jean McClellan, expert in language-loss, is forcibly silenced and her research locked away. 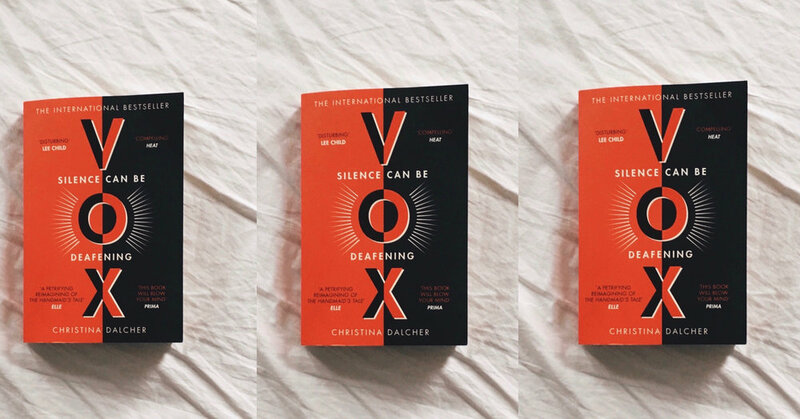 Aside from the inevitable comparisons to The Handmaid’s Tale, from which she clearly if not brazenly draws inspiration, it is the use — metaphorical and otherwise — of Dalcher’s own neuro-linguistic expertise which really lifts her novel beyond mere imitation and into its own field. Through a web of linguistic play, biting wit and subtle metafiction, Dalcher succeeds in emphasising the necessity and power of the written and spoken word in a society where women are too often silenced, all qualities and messages I would have liked to see taken further, and hope will in her future work. Though it lacks the compelling ambiguities that define Atwood’s breakthrough novel, Dalcher’s electrifying debut combines parodic sarcasm with genuinely gripping narrative pace; I was left wanting more at its unbelievably abrupt ending, which seemed to leave no scope for a sequel and ties off loose-ends slightly too conveniently. While there were certainly problematic elements — conservative husband Patrick’s role in the novel’s eventual denouement, and lack of a satisfying subplot for vocal feminist Jackie, Dalcher’s characterisation succeeds in exploring the grey areas of activism, feminism, responsibility and blame. While I enjoyed Dalcher’s depiction of a Resistance movement led by black and mixed-race characters, which was successful in highlighting intersections between misogyny and racism and was realistic in its presentation of institutionalised racism in Bible Belt America, I would have liked for the fate of the LGBTQ+ community to be further explored. Despite vignettes of Lin and Isabel’s undercover relationship and Jackie’s gay pride activism, I felt their stories deserved much more space, with the three lesbian characters trapped in a nondescript prison environment throughout most of the central action and the heterosexual love subplot receiving much more airtime. It would also have been powerful to witness the experience of trans and agender people in this world. What Dalcher does succeed in is portraying the insidiousness of a constructed gender binary, with characters such as Jackie fighting to be heard in a society denialist of their very identity. Particularly in a novel centered around the female voice, I would have loved to hear more of their stories. 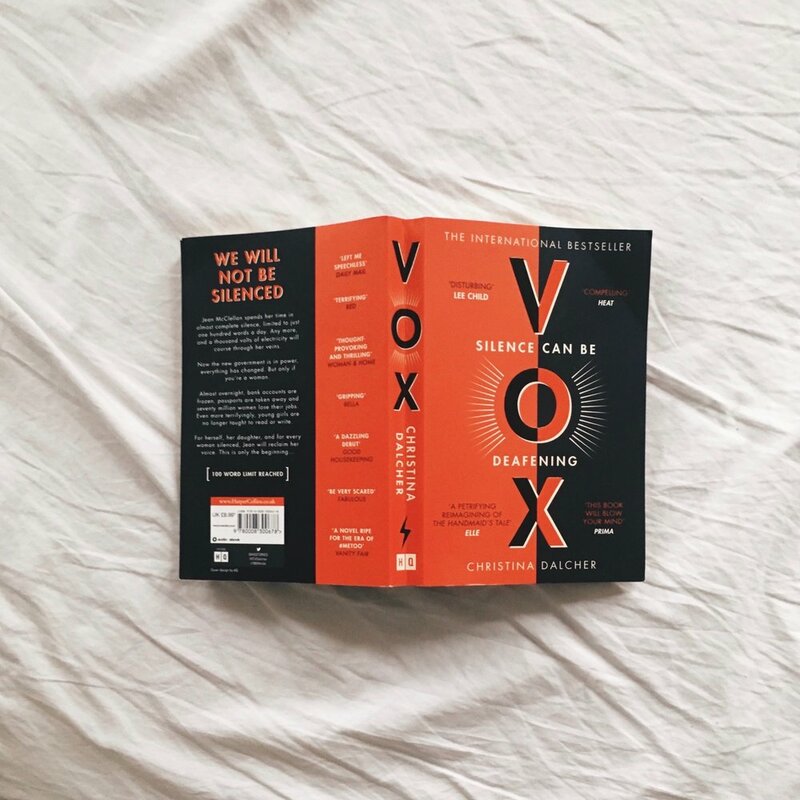 Ultimately, Vox is a promising and highly readable debut, and I am excited to read Dalcher’s next words. Georgia Andrews is a freelance actor, writer and facilitator currently based in East London (via Helsinki, Philadelphia and the Midlands). When not writing, acting or embracing “funemployment”, she can be found tending to her fifteen houseplants or curled up with a book.